So much fun was had by our 3-6 students at last Friday's Karaoke Disco and our BHPS students certainly didn't disappoint with their confident Karaoke skills! Huge thank you to Claire Locke and Karlin Clements for their overall organisation and for working so hard behind the scenes to create such a special event. Thank you also to the wonderful team of volunteers as well as Miss McRobie and Mr Matthewson who supported the disco and helped to make sure the evening was a huge success. 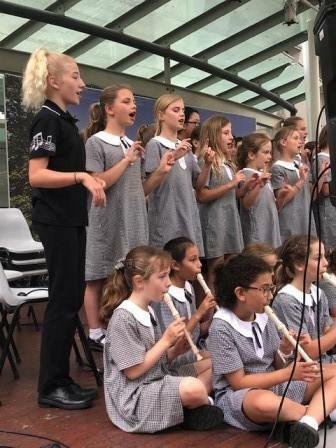 Despite the rain, our gorgeous choirs, recorder groups and bands performed confidently and beautifully at Warringah Mall yesterday and really showcased the plethora of extra curricula opportunities available at our fantastic school. 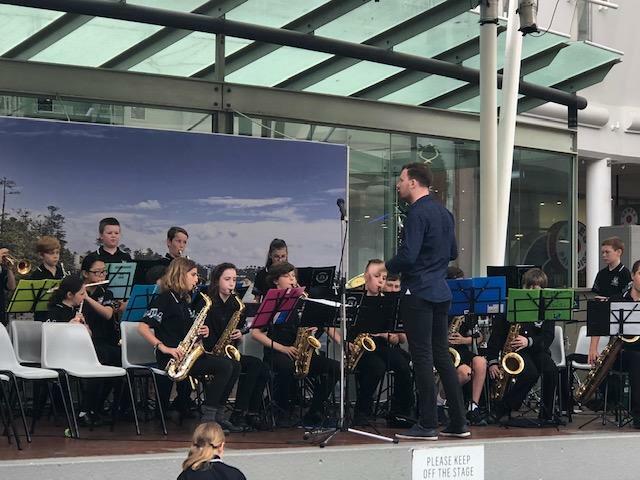 Many thanks once again to our wonderful Miss Widmer and Mr Hurditch for coordinating another performance opportunity for us, providing our students with yet another opportunity to shine. Thank you also to the wonderful group of parents/ carers who travelled to the mall to support our students as well as Mrs Newman and Mrs Stanley for their support . I know how much the students love seeing you all there. Choose images or drag it here. Tomorrow we will be commemorating Remembrance Day at school with a short school service. Remembrance Day marks the anniversary of the German signing of the Armistice, which concluded hostilities in World War One (1914-1918); the ceasefire taking effect “at the 11th hour of the 11th day on the 11th month”. As a mark of respect, we will observe one minute silence in memory of those who died or suffered in all wars and armed conflicts. Students have been busy this week making red poppies that they may wear as a special symbol to acknowledge this occasion. 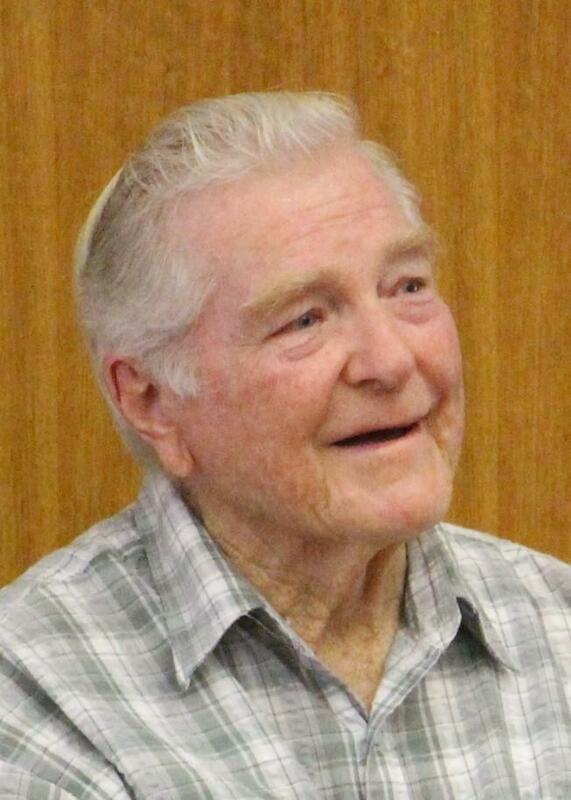 I thank Mr Matthewson for coordinating our school commemoration and special thank you to Mr Matthewson senior for sharing his family stories with ou students. We congratulate Noah Turner and Lukas Vynhalek of Year 4 on their recent offer of placement in an opportunity class for 2019. We also congratulate Daisy Burt who is on the reserve list. Well done to all of these students in what is a highly competitive process. You should be very proud of yourselves! Farewell to our wonderful Colin! At Monday's assembly we took the opportunity to bid a special farewell to our school crossing supervisor Colin who recently made the difficult decision to retire. We presented Colin with a beautiful photo book with special messages from all the BHPS students as well as a gorgeous hamper full of goodies put together by our wonderful Kaz Cerneaz and Sally Bate. It was such a lovely way to farewell a truly irreplaceable member of our school community and I know he loved every minute being our assembly "guest of honour". 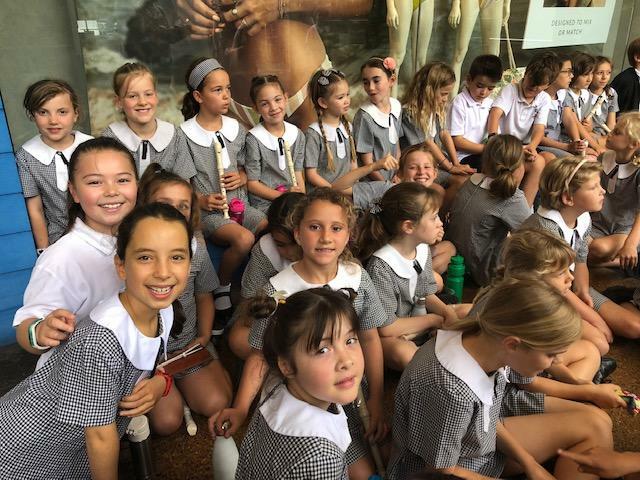 Term 4 marks the beginning of planning for next year and to facilitate class placement and the administration which accompanies planning in a school, it is important that we have reliable student numbers from which to work. There are a number of ways parents can assist us to ensure projected numbers for 2019 are as accurate as possible. *If you know someone in the area who is going to enrol their child at the school but as yet have not contacted the school, please ask them to contact our office as soon as possible. *From time to time we have families who extend their holiday and will therefore not return to school at the commencement of the school year. It is imperative that the school receives notification, in writing, that the children are returning to school prior to the end of first term, if they are to be included in the numbers that are submitted to the DoE. The department uses these numbers to allocate the number of teachers the school is eligible to have so it is important that I include all of these children in my submitted numbers. 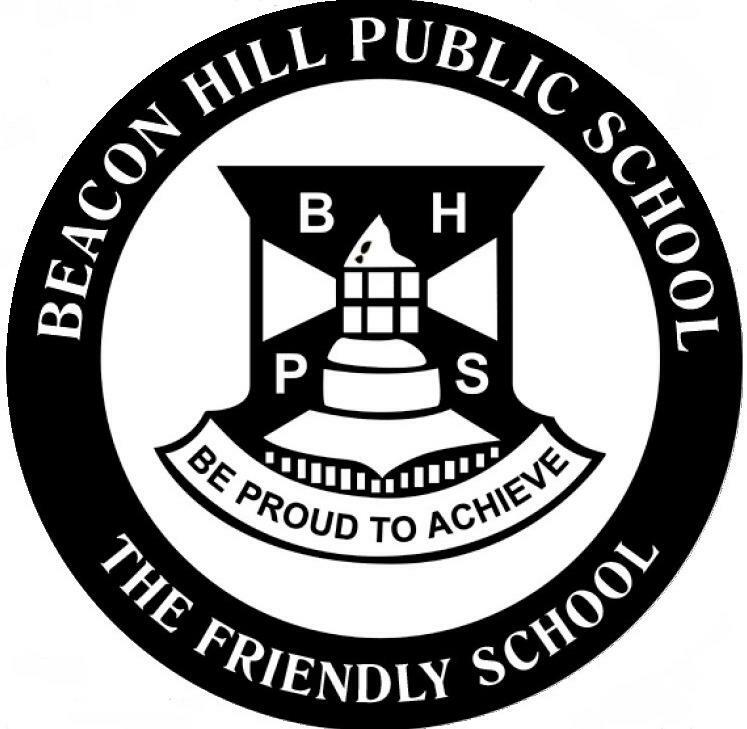 *Please complete the form below if your child/ren will not be returning to Beacon Hill in 2019 and you haven’t let us know already. Our annual Presentation of Awards Ceremony is a very special event held at the end of each school year. This year, the ceremony will be held on Thursday 13 December commencing at 9.10am in the MPC and concluding at approximately 11am. Please pop these details in your diary. It is a time to congratulate all students for trying to do their best and in particular, we acknowledge and celebrate those children who have excelled in their class work, and also those who have represented our school with pride and distinction. 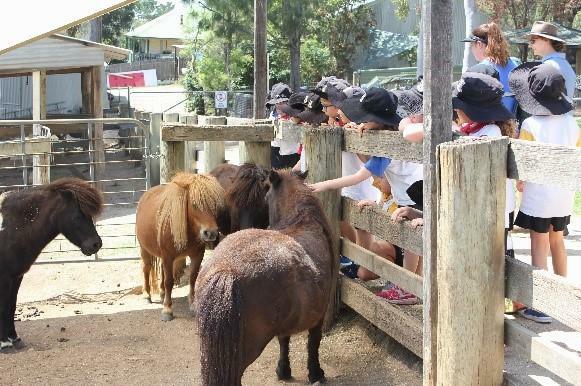 It is not long now before we farewell our Year 6 students to High school and they start the next chapter in their lives and learning journey. 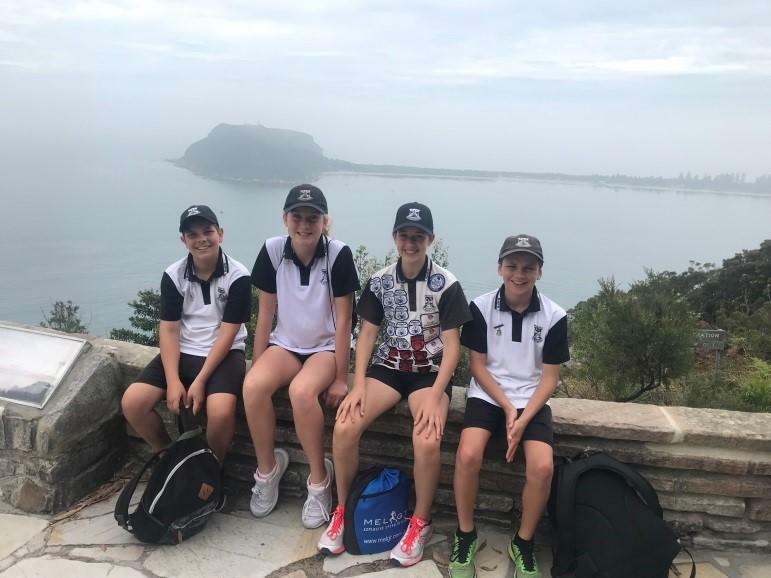 Year 6 students who are attending our local Public High Schools will participate in an orientation day at their high school on Tuesday 4th December. The Department of Education has an online video about starting high school that you can watch with your child. · Establish a good routine before going back to school i.e. 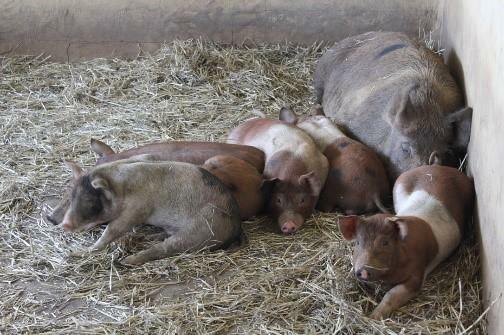 sleeping patterns, meal times. · Encourage your child to get into the habit of having a good breakfast before school. Give your children healthy food to eat and encourage three meals a day. · Practice travel to school. · Buy some files to store worksheets at home. One box file for each subject is a good idea. Colour code books if organisation is a problem. · Put the timetable up on the wall and on the fridge. · Help your child to pack their bag the night before. Don’t forget sports gear is needed at different times throughout the week. · Remember the timetable can change. · Help your child plan assignments using a planner. · Set aside a time to do homework in a quiet place. · Encourage your child to take part in after school activities at school or outside school. Maintain outside school friendships. Invite new friends over to play. 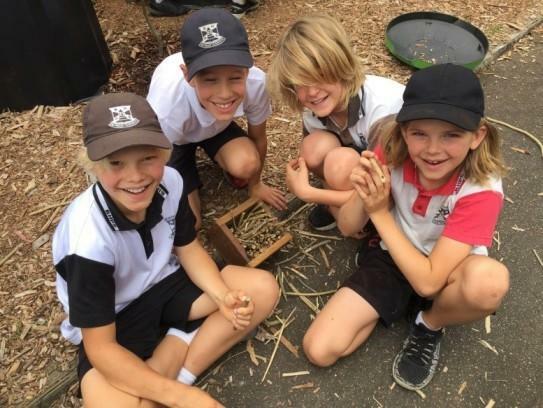 BHPS students are continuing to embrace their Star Learner Super Powers, promoting positive learning habits and a commitment to learning whilst striving for their personal best. 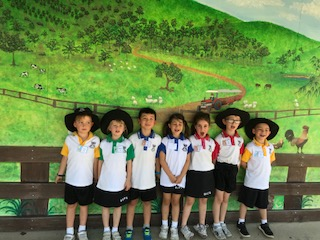 Congratulations to the following students who are displaying the qualities of COLLABORATION like CASPIAN, staying flexible, talking and connecting, listening to alternate points of view and realising the potential of a group. These students will receive the Caspian award at the shade structure assembly in Week 5 on Monday 12 November. 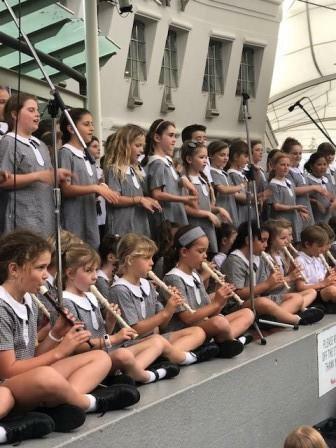 Applications for those students in Year 5 wishing to apply for selective high school in 2020 opened on 9 October 2018 and closes on 12 November 2018. 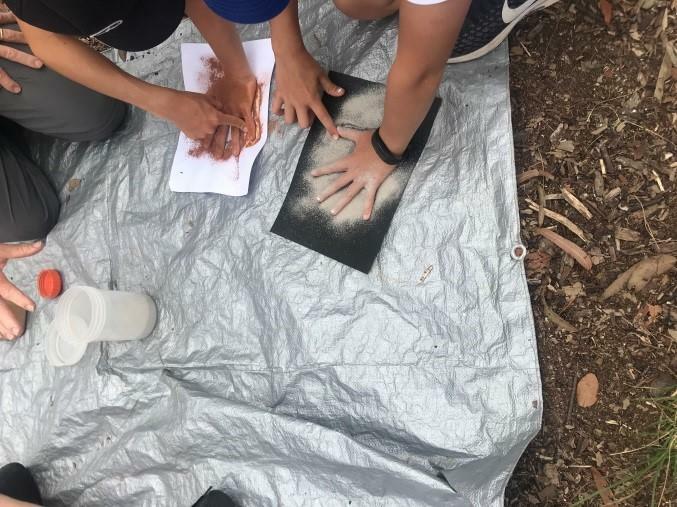 Detailed instructions on how to apply online will be available from mid-September 2018 at https:// education.nsw.gov.au/public-schools/selective-high-schools-and-opportunity-classes/year-7. You must apply before the closing date. Please note, all applications must be completed online and that there are no paper applications. To apply you will need to register and then apply through the High Performing Students website. Parents will only be able to make three selective school selections and applications will not be accepted after 12 November 2018. All applicants are required to sit the Selective High School Placement Test on Thursday 14 March 2019. All students in Year 5 have received an “Intention to apply” note to advise the school if you are intending on applying for your child. Please also see attached to this Beacon. 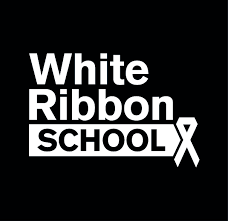 The SRC will be holding a White Ribbon Day of Respect on Friday 23rd November where students will wear white and students can buy a white ribbon for $2 and/or bring in a gold coin donation to raise money for White Ribbon. Students will also be participating in class discussions and activities on RESPECT. Including what respect looks like and sounds like in a variety of contexts. Each student will also make a white ribbon with messages/ poems of respect. The SRC will create a large whit ribbon the top school oval to demonstrate our school’s commitment to being respectful at all times. Please help us support this worthy cause. School student applications for 2019 open from Monday, 15 October 2018.
have not been sent an expiry notification from Transport for NSW. Where a student meets the new distance eligibility, the system will automatically update their entitlement. If they do not meet the new eligibility, they will receive an expiry notification. Students who have an entitlement approved under a medical condition which is due to expire will receive a notification advising them to re-apply. Term Bus Pass holders will receive a notification to re-apply. Applications need to be submitted before 31 December 2018 to ensure student entitlements are updated and their current entitlement/card is not cancelled. If their application is submitted after 31 December 2018, the system will automatically cancel a card and a new one will need to be issued. Students in the Opal network applying for a SSTS or Term Bus Pass entitlement for the first time will receive their card at their nominated postal address. Cards will be mailed out during December 2018 and January 2019. It all started at 9am, we were on our way down to West Head. As Fin, Seb, Alice and Sienna were all excited with their bags packed and ready to go. As we stepped into Mrs Ross’s car, the excitement grew even more, this is REAL!!! It took a while to get there, we almost got lost several times, but we eventually got there. As we met our leaders, Clarence and Dave, we knew we were going to have a great time. Clarence led the pack down the bumpy road, till we made it to our destination. 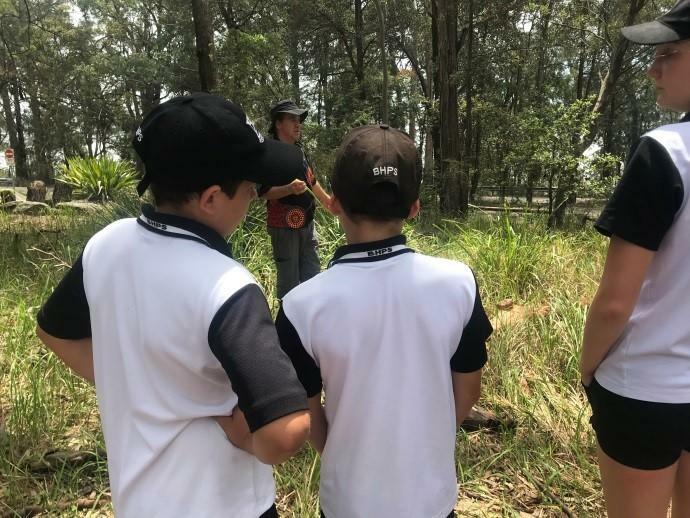 The day was filled with learning the traditions and culture of the Indigenous people of our area, how they used the native flora and fauna to live and tell their stories. The nature and the views were beautiful too. We can’t wait to pass on the knowledge we have gained! 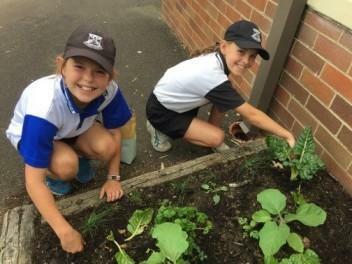 On Tuesday our Year 4 classes did some companion planting with Tim from the Northern Beaches Council. They planted marigolds, sunflowers and nosterciums, which will keep our vegetables free from caterpillars and other bugs! 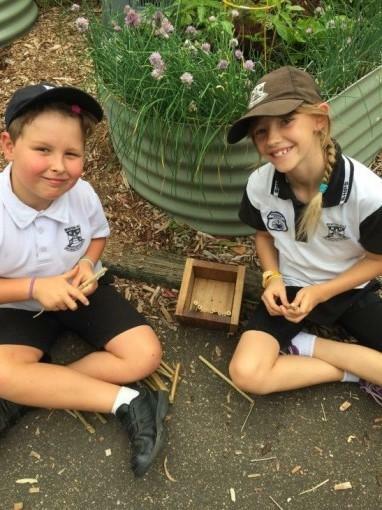 The students even made a bee hotel to make their stay in our garden a comfortable one! 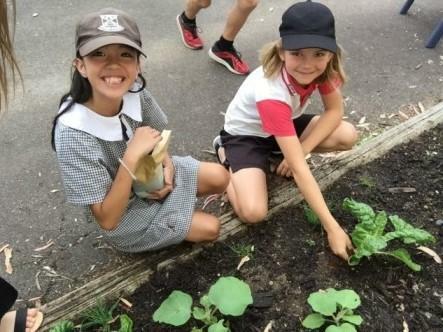 Our school garden is coming along nicely! Make sure you pop in to have a look at pick-up or drop-off. From food, to scraps, then to fertiliser to grow more food. 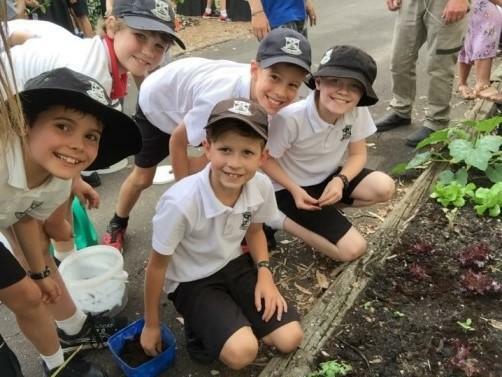 On Tuesday the 6th, Year 4 had sessions on composting around the school garden with activities ranging from compost churning, to sprinkling used coffee grounds around our plants and vegetables. 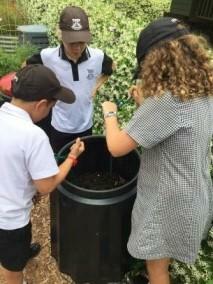 We learnt a lot about taking care of our gardens and how composting is a hard but important job. It was a lots fun and I am really glad that we got the opportunity to learn and get involved to help in the school garden. 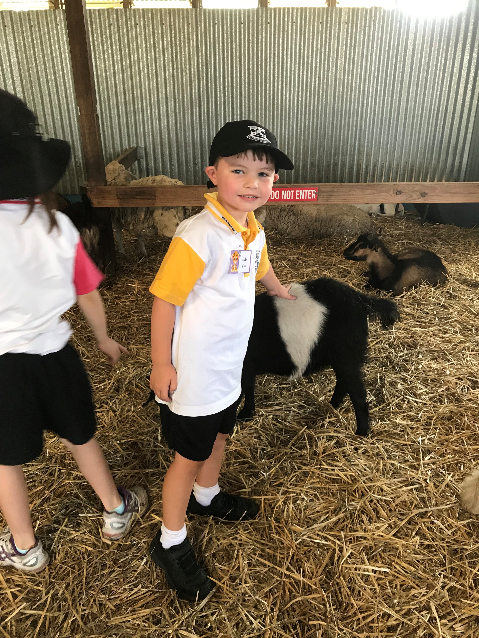 As a part of our studies of Living Things, Sustainability and Healthy Eating, last Thursday Kindergarten went on our very first school excursion to Calmsley Hill City Farm in Abbotsbury. Boarding the bus we were all very excited and couldn’t wait to have a go at milking a cow and having a ride on a tractor. We met some amazing animals, including one new-born lamb who was only three days old! 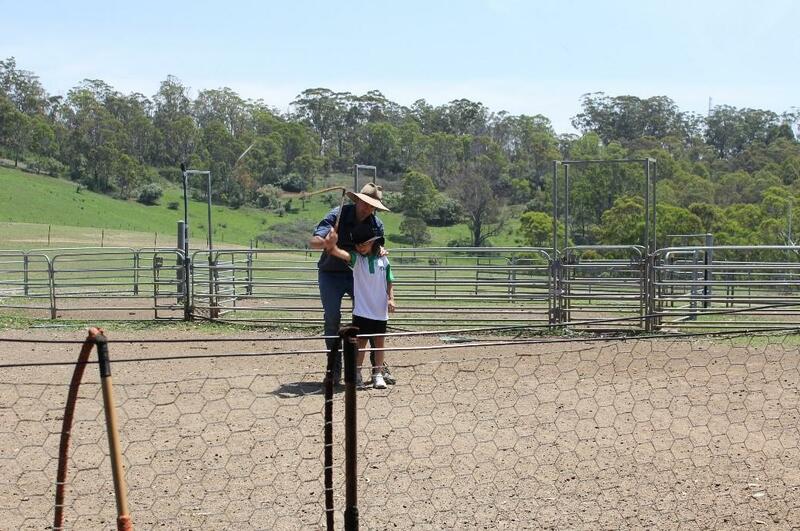 Mingling in with the cows, pigs, sheep and goats, we learnt all about where our food comes from. We finished the day with the farmers putting on a show for us, using dogs to round up the sheep and cracking stockwhips that they use to round up the cows. 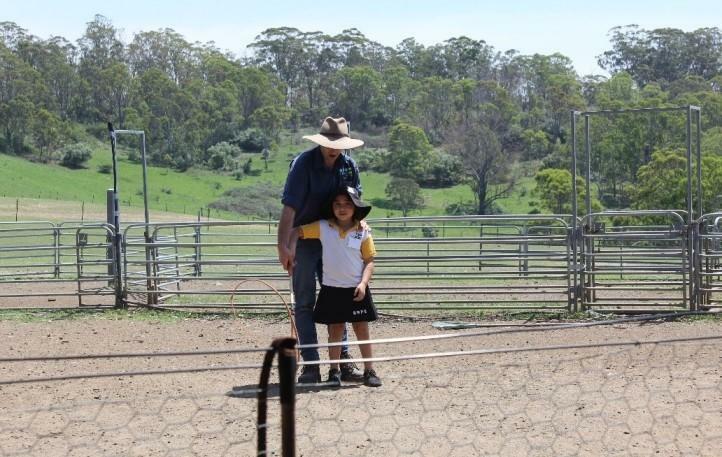 The farmer even gave us some wool straight off a sheep to bring back to school and use in our investigations. After such an action packed day, most of us fell straight to sleep and gave our teachers and incredible parent chaperones the gift of a quiet bus ride home. PIZZA AND POPPER DAY IS BACK! On Wednesday November 28, Year 6 will be holding a Pizza/popper fundraiser. The cost is $5.00for 2 slices of pizza and a popper. This year you can again order your pizza/popper through the flexi school’s site just like a canteen order. This will be up and running to use from Monday. Orders will be accepted on the site up until Monday 26th November, at 3pm. If you are not registered with flexi schools you will be able to send the attached form in with $5 to the front office. There will be no canteen lunch orders on this day but the canteen will be open for snacks and ice blocks as usual. The children will receive their pizza and popper at lunchtime. Register for BAND by THIS FRIDAY! 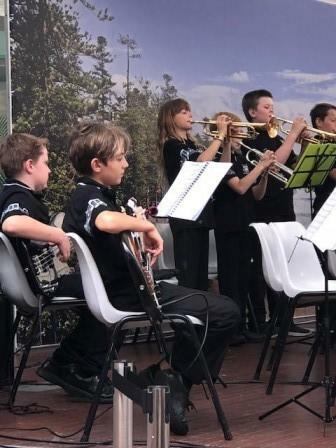 If you were lucky enough to catch the Band performing this afternoon you will know that our Band produces something very special and it is impossible to hear them play and not feel a buzz of excitement! If you have any questions please check the email you received over the weekend which has some useful youtube links and information about the program. You can also look online on our school website, pop into one of our rehearsals in the MPC or email Kaz Cerneaz (bandsecretary@bhpspc.com). REMEMBER – Band is for EVERYONE!! There are no pre-requisites, auditions, selections or performance assessments. 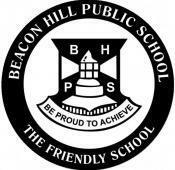 We are inclusive, welcoming, educational and fun. Don’t miss out on being a part of our Band!! School banking will finish Tuesday December 4th for 2018. If you are eligible to redeem a reward please submit this by Tuesday 13th November so that you can receive your reward before the end of the year. Help children develop skills for life. Become a Primary Ethics teacher! We are seeking volunteers to teach our ethics classes in 2019. Did you know we have 110 students across 5 classes taking Ethics classes this year? All our classes are full (max. students per class is 22) and we have a substantial waitlist. A huge thank you to our fabulous ethics teacher - Renee Sucic, Ali Watson, Debi Moffat and Natasha Lewis - who generously volunteer their time to take a 40 min ethics class every Wednesday. Renee, Ali and Debi are not able to teach next year due to work commitments or leaving the school so we really need some new teachers please. You will receive full training by Primary Ethics, the not-for-profit organisation approved to design curriculum and training for the ethics program. Training consists of a two day workshop and short online modules. Lesson materials are provided. In ethics classes, children learn how to think logically, disagree respectfully and support their arguments with evidence, rather than act according to blind habit or peer pressure. how do we treat living things? how do we disagree in a respectful way?